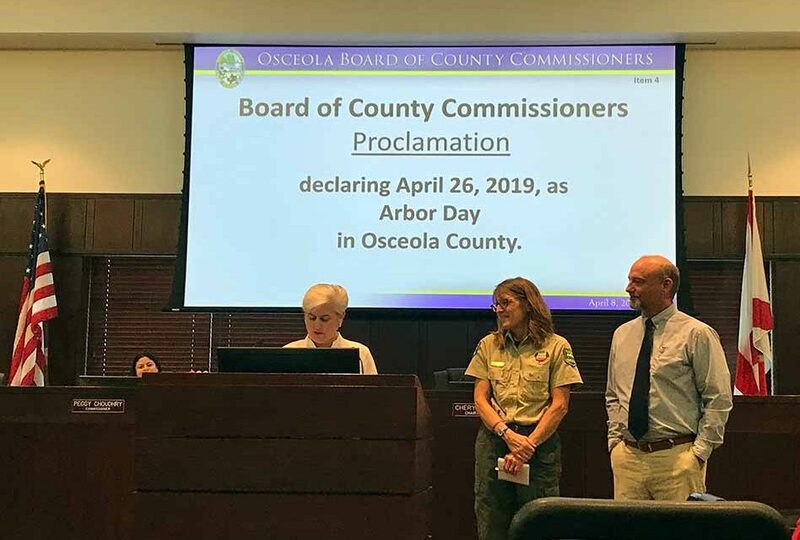 On Monday, April 8, 2019, the Osceola Board of County Commissioners proclaimed April 26, 2019, to be known as Arbor Day in Osceola County. In 1872, J. Sterling Morton proposed to the Nebraska Board of Agriculture that a special day is set aside for the planting of trees. Arbor Day first was observed with the planting of more than a million trees in Nebraska. Now, Arbor Day is now observed throughout the United States and the world including Osceola County. 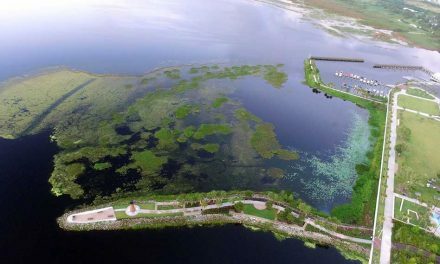 Trees can reduce the erosion of our topsoil by wind and water, cut heating and cooling costs, moderate the temperature, clean the air, produce life-giving oxygen, and provide habitat for wildlife. Trees are a renewable resource giving us paper, wood for our homes, fuel for our fires and countless other wood products. Trees in our County increase property values, enhance the economic vitality of business areas, and beautify our community. Trees, wherever they are planted, are a source of joy and spiritual renewal. 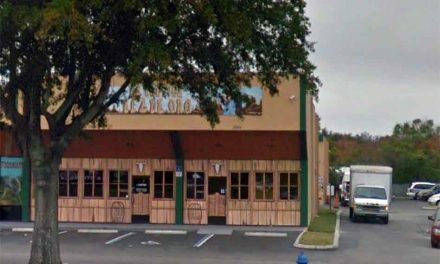 Osceola County created tree protections within its Land Development Code and has instituted a tree planting program in order to build a community that is prosperous and sustainable. Every year, County officials plant trees to commemorate Arbor Day and Earth Day. Celebrate Arbor Day by making a positive difference in the world, plant a tree! Good Morning Kissimmee… What a Beautiful Sunrise over the City!